Weefcraft Tie Dyed apparel is a home based business located in Lakeland Florida. Weefcraft is your best e-source for customized, hand-tied and dyed cloth goods. 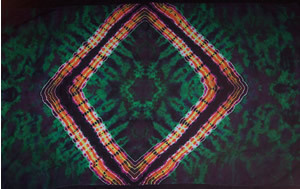 Weefcraft offers a unique version of tie-dyed goods, with a break away from the more commonly found designs into a world of iconic images and a distinctively unique style. Each dye is hand crafted.